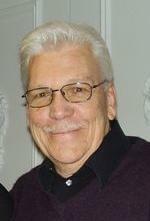 Tom Atkins (born November 13, 1935) is an American television and film actor. He is primarily known for his work in the horror film and thriller film genres, having worked with writers and directors such as Shane Black, William Peter Blatty, John Carpenter, Fred Dekker, Richard Donner, Stephen King, and George A. Romero. He is also a familiar face to mainstream viewers, often playing police officers. Atkins has starred in numerous films including The Fog (1980), The Ninth Configuration (1980), Escape from New York (1981), Creepshow (1982), Halloween III: Season of the Witch (1982), Night of the Creeps (1986), Lethal Weapon (1987), Maniac Cop (1988), Two Evil Eyes (1990), Bob Roberts (1992), Striking Distance (1993), and Drive Angry (2011). Atkins was born in Pittsburgh, Pennsylvania, the son of Dorothy E. (née Williams) and George C. Atkins. During his childhood, Atkins was a fan of horror and science fiction, one of his best loved films being the Howard Hawks classic The Thing from Another World. He initially had no desire to be an actor. His father worked in a Steel Mill in Pennsylvania and Atkins assumed that he would follow in his father's footsteps. He then enlisted in the United States Navy and "noticed that the officers lived great, but that was only because they had gone to college," and so, after leaving the Navy, Atkins signed up for college where he met a girl who was involved in a theatre group. Tom attended Duquesne University in Pittsburgh and was a member of the Gamma Phi Fraternity. He says: "I was in my 20s already when I got interested in acting and I liked it a lot." Atkins began his career in stage plays both on-and-off Broadway, before moving to Los Angeles to pursue a career in film and television. His first movie role was in The Detective, which starred Frank Sinatra. Talking of his experience working on his first feature film – and with Sinatra – Atkins says: "It was great! It was intimidating and frightening and scary but Frank was great. He was very easy to work with. He didn't like to do a lot of takes. But then it's not like we were doing Shakespeare." After many appearances in TV series and movies, Atkins began working within the horror and science fiction genres. He starred in two films directed by John Carpenter: the 1980 ghost story The Fog and the 1981 science fiction thriller Escape from New York. His next role (this time a leading role) was the third instalment of the Halloween franchise, the Carpenter-produced Halloween III: Season of the Witch (1982). He completed further work with George A. Romero, appearing in three of the director's projects: the anthology Creepshow (1982), written by Stephen King; the anthology Two Evil Eyes (1990), based on tales by Edgar Allan Poe; and Bruiser (2000). He portrayed Detective Ray Cameron in the 1986 cult horror film Night of the Creeps, a role Atkins calls his very favorite. He tells Classic-Horror magazine "It was the most fun film I've ever worked on. It was a pure giggle from beginning to end. The director Fred Dekker was very young and very talented and he went on to do The Monster Squad afterwards. I think he wrote a terrific film that was kind of a big put-on of '50s horror. And I had great lines in that movie!" Atkins has continued to act in both the thriller and police procedural genre. He is well known to movie goers for his role as Michael Hunsaker in the Richard Donner film Lethal Weapon (1987), which stars Mel Gibson, Danny Glover, and Gary Busey. In 1993 he took a role in Striking Distance (1993) alongside Bruce Willis, Sarah Jessica Parker, and Tom Sizemore. In television, Atkins played Lt. Alex Diehl in The Rockford Files with James Garner and reprised his role of Commander Diehl for a series of Rockford Files movies during the 1990s. He is a frequent player in shows in the Pittsburgh theatre scene, most famously in the one-man show The Chief at Pittsburgh Public Theater, in which he depicted the late founder of the Pittsburgh Steelers, Art Rooney. Also at the Public, he played the title role in Macbeth, opposite Jean Smart as Lady Macbeth and Keith Fowler as Macduff. He was the star of A Musical Christmas Carol at the Pittsburgh Civic Light Opera, portraying the character of Ebenezer Scrooge. He appeared on Broadway in David Storey's The Changing Room, for which he received the 1973 Drama Desk Award for Most Promising Performer. In 2009, he had a supporting role as a retired sheriff in the remake My Bloody Valentine 3D and co-starred with Nicolas Cage in Todd Farmer's Drive Angry, in 2011; both films are directed by Patrick Lussier. Atkins' first wife was actress Garn Stephens, who appeared in Halloween III: Season of the Witch. Following the couple's divorce, he married Janis Lee Rodgers on March 15, 1986, with whom he has one child, Taylor. ^ Atkins, Tom, The Internet Movie Database, [accessed] 17 April 2011. ^ a b c d e Fallows, Tom, Tom Atkins Interview (Night of the Creeps), Classic-Horror Web Zine 14 October 2009. ^ "'Drive Angry' Casting That Will Surely "Thrill" You". ^ a b Tom Atkins, Internet Movie Database, [accessed] April 14, 2011. ^ "Monster-Mania 14 Guest List Grows". DreadCentral. February 7, 2010. Retrieved July 31, 2016. ^ "Exclusive: Tom Atkins is BACK and Ready to Drive Angry". DreadCentral. ^ "Tom Atkins Biography (1935-)". filmreference.com. Retrieved 18 December 2011. This page was last edited on 15 February 2019, at 05:00 (UTC).